← Series of ‘Virtuosi’ concerts is ongoing! Under the guidance of young curator Roderick Camilleri, more than thirty members of the Malta Society of Arts (MSA) have taken up the challenge to participate in 2018’sofficial Members’ Exhibition entitled ‘Perception’. The show is being relaunched by the MSA after a short hiatus, updating its traditional annual members’ exhibition through a new exciting approach, which for the first time ever is being framed by a particular theme. The participating members’ ideas have stemmed from an ongoing international project led by the Malta Society of Arts called AMuSE (Artistic Multi Sensorial Experiences), which is co-funded by the European Union under the Creative Europe umbrella. Through this project, the members were able to partake and assimilate from the main theme of thismulti-national multi-sensorial project and present experimental ideas which will translate into artistic works. Through a number of workshops, informative meetings and curatorial advice by Roderick Camilleri, who is also the artistic director of AMuSE, the participants took on this fascinating journey to explore different modes of expressions, roping in diverse sensorial approaches to express their own personal creativity. All the participants formulated ideas and developed their inventive method and experimented with a number of different and at times alternative media to create innovate compositions. The exhibition reflects the numerous processes and practices explored by the participants during the past six months. The event will showcase artworks by individual participants as well as group works. 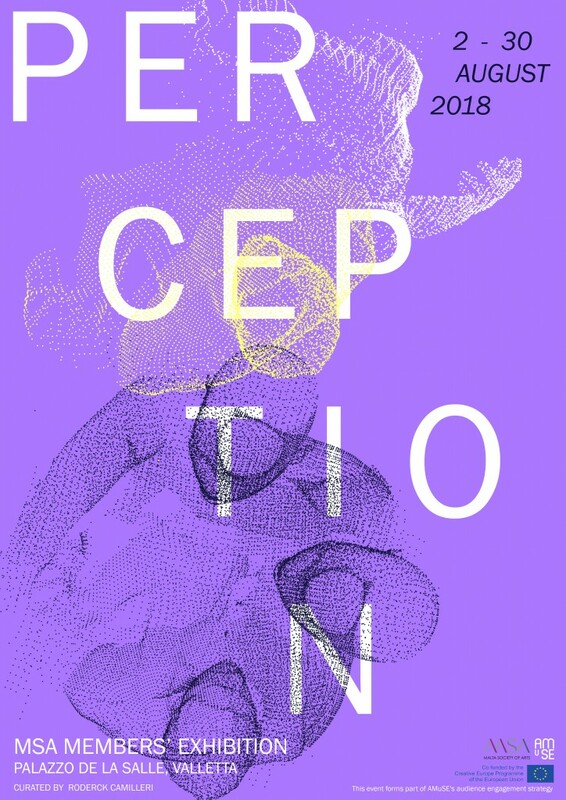 Perception presents diverse artworks such as tactile and olfactory paintings, mechanical, automated and interactive sculptures, sound images, mobiles and kinetic installations. The event will also reflect an artistic awareness and sensibility to the palace, as it will adorn all the possible open spaces, halls and galleries of Palazzo de la Salle. The exhibition ‘Perception’ will be open from the 3rd till 30th August 2018 at Palazzo de La Salle, 219, Republic Street, Valletta. Opening times are Monday and Friday from 8am to 7pm, Tuesday, Wednesday and Thursday from 8am to Noon and 3pm to 6pm and Saturday from 9am to 1.30pm. For more information kindly visit artsmalta.org.